The website has some additional info on each creature, which is worth a look for those looking forward to the film. We’ve compiled some official photos of the sets and figures. We’ve seen most of these before, but now you can see them all in one spot. You can check them all out after the jump. 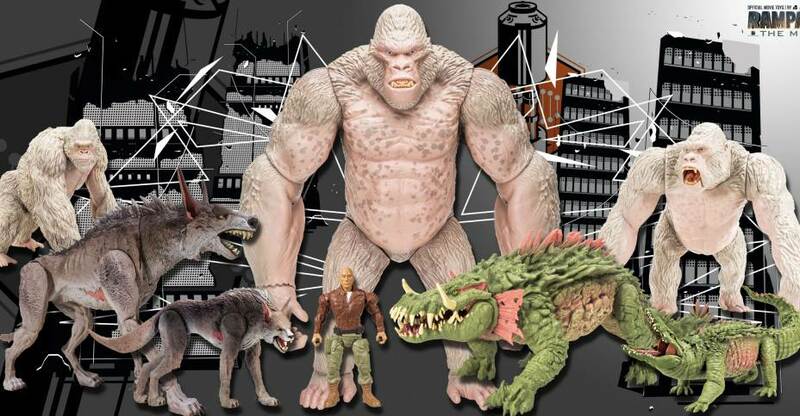 It looks like the new Rampage movie will indeed give way to some Rampage video game toys. But, those looking for high quality action figures may be a bit disappointed. Thanks to @gregory_matthew, @ToydeJour & @PixelDan, we have photos of a new series popping up exclusively at Walmart. While the company name can’t be seen in the photos, these figures are being produced by Lanard Toys. They include George, Lizzie and Ralph as stretchy figures (think Stretch Armstrong). 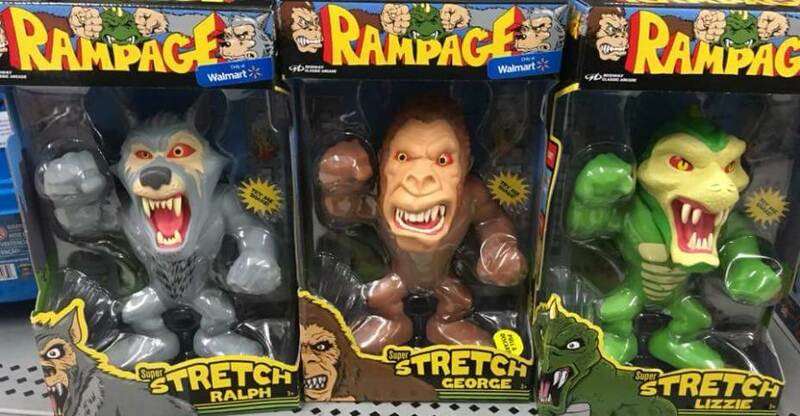 These stretchy figures, while not accurately colored, our the first Rampage video game figures (outside of some plushies) that we’ve received. These are currently popping up in Walmart stores. They are priced at $9.84 each. Read on to see a couple of images. No word on release date or pricing, as the listings appear to be unfinished. You can see the photos by reading on.